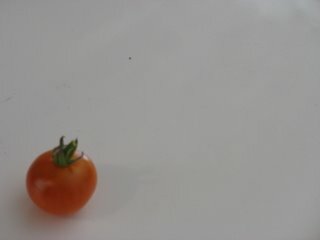 Actually, there were two tomatoes. We ate one. Here's the other. Don't think I'll ever try container gardening again.